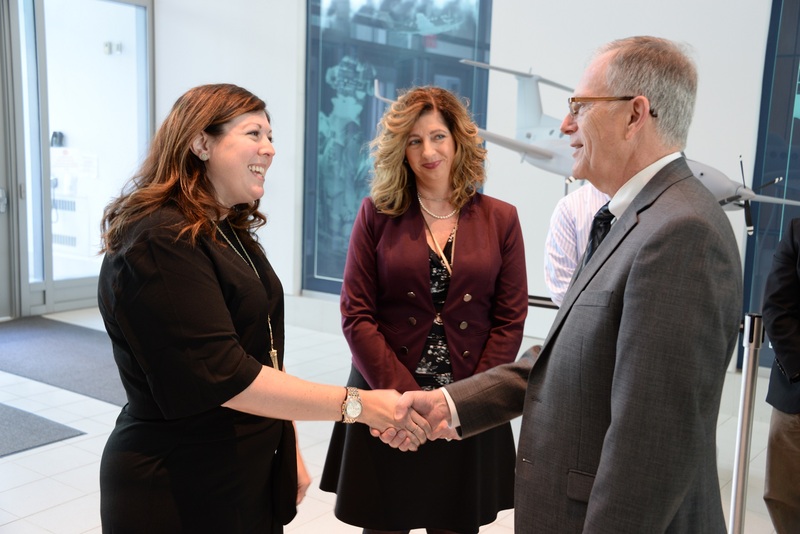 FORT BELVOIR, Va.—The Secretary of the Army has announced its FY16 Awards for Excellence in Contracting, honoring Army contracting organizations and individuals who’ve exemplified excellence in productivity, process improvement and quality enhancement. The U.S. Army Contracting Command (ACC) – Rock Island, Illinois, netted three awards: an individual honor for outstanding contract specialist and group awards for contingency contracting and systems, research and development, logistics support (sustainment) contracting. More than 60 nominations were received for the FY16 awards, which span 13 honors in three categories. Mary P. Hernandez, ACC-Warren, Michigan, was named Contracting Professional of the Year, and Sgt. 1st Class Matthew Girard was named Contracting Noncommissioned Officer of the Year. He’s with the 918th Contracting Battalion, Mission & Installation Contracting Command-Fort Carson. 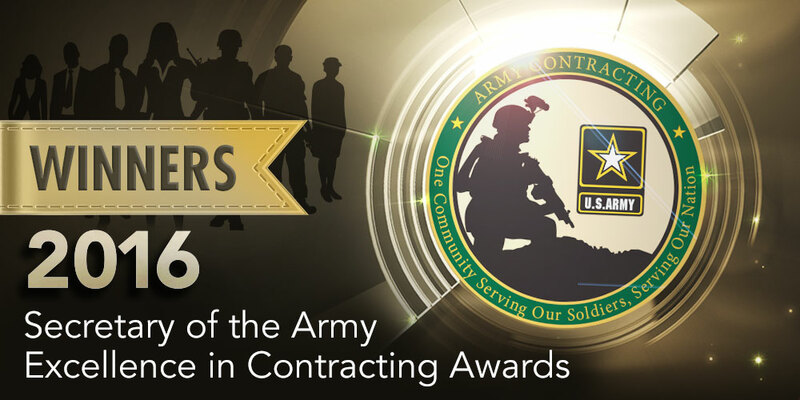 For more information on the awards, go to https://asc.army.mil/web/contracting-awards/. The full list of honorees follows. Natanielle L. Little receives the Barbara C. Heald Award during the 2016 Army Acquisition Executive’s Excellence in Leadership Awards Ceremony, held Dec. 1, 2016 at Springfield, Virginia. 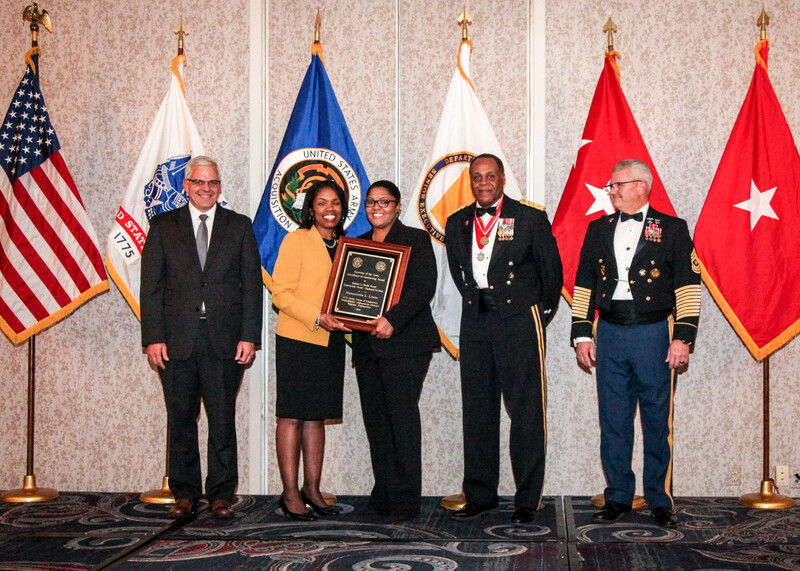 Steffanie Easter, acting assistant secretary of the Army for acquisition, logistics and technology (ASA(ALT)) and the Army acquisition executive, presented the award to Little. Also on hand for the award presentation were, from left, Christopher Lowman, acting principal deputy to the ASA(ALT); Lt. Gen. Michael E. Williamson, principal military deputy to the ASA(ALT) and Director, Acquisition Career Management; and Sgt. Maj. Rory Malloy, sergeant major to the ASA(ALT) principal military deputy.